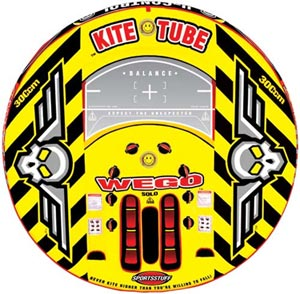 Is there any one who can remember Wego Kite Tube ? Was it a deadly water toy ? or Was it meant only for adventure water sports lovers ? The Wego Kite Tube a (recalled or withdrawn) product of Sportsstuff is a 10-foot-wide, circular, yellow inflatable watercraft designed to be towed behind a power boat. A rider in the tube becomes airborne by pulling on handles attached to the floor of the tube. The tubes were imported and sold through marine distributors, mail order catalogs, and various retailers from approximately October 1, 2005 to July 11, 2006 for about $500 to $600. About 19000 Wego Kite Tubes were withdrawn from the public who bought these water toys as more accidents and injuries were reported while using this water toy. 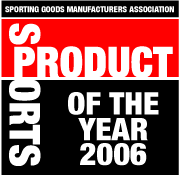 In fact, Wego Kite Tube of Sportsstuff was the winner of the 9th Annual Sporting Goods Manufacturers Association Sports Product of the Year Award in 2006. Though the Kite Tubes were not defective in design or unreasonably dangerous, Sportsstuff in a customer friendly manner offered to replace all the customers who bought this water toy with products of comparable value.